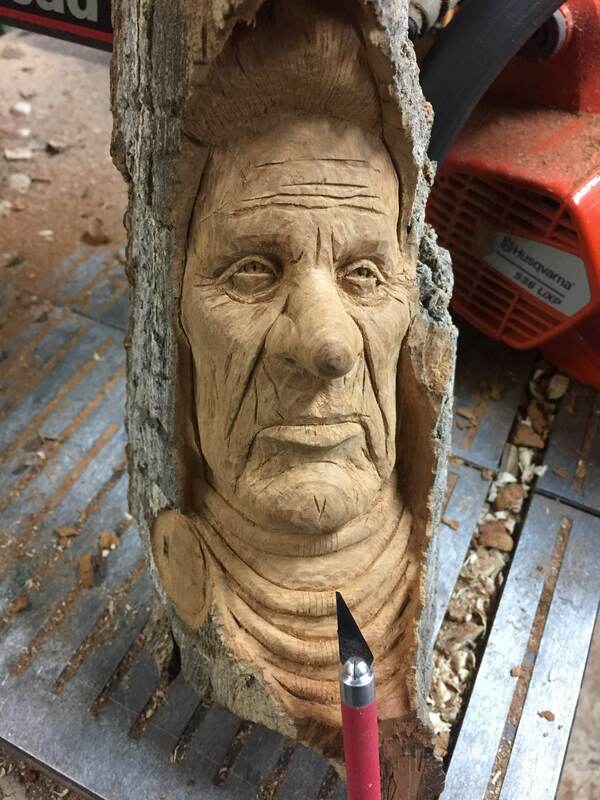 This is a carving in a piece of Cottonwood bark that hangs on the wall, or stands freely. 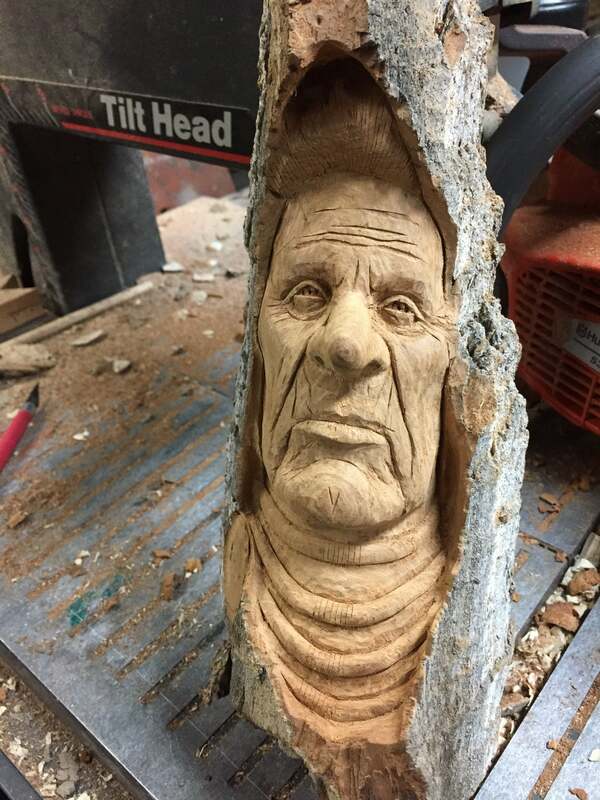 This is a very unique piece, and is one-of-a-kind. Everything in my shop is made by hand, by me, Josh Carte. 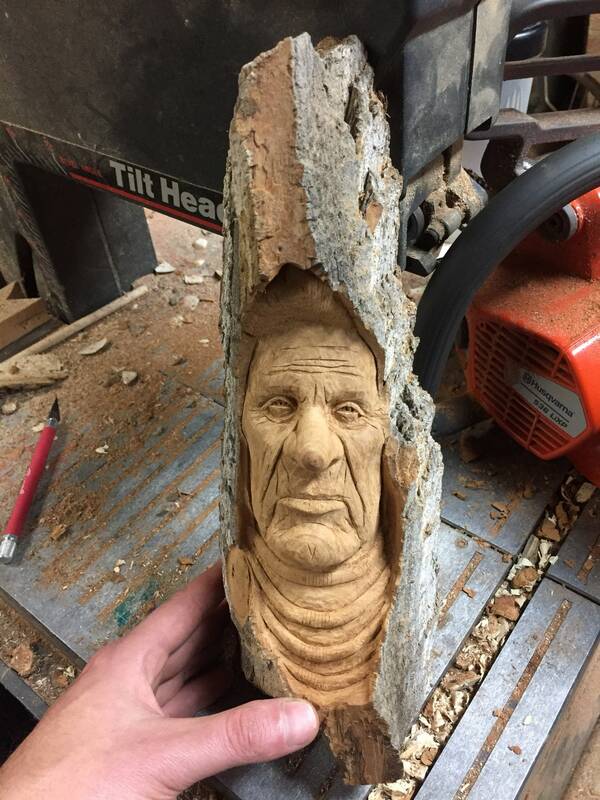 This carving hangs on the wall, or it can stand on its own. I include a hanger. Also, I sign, date and list the name of the work on the back. A certificate telling a bit about me is included with all of my wood spirit wood carvings. SHIPPING IS INCLUDED in the price of the carving to the USA! Please contact me for international shipping. 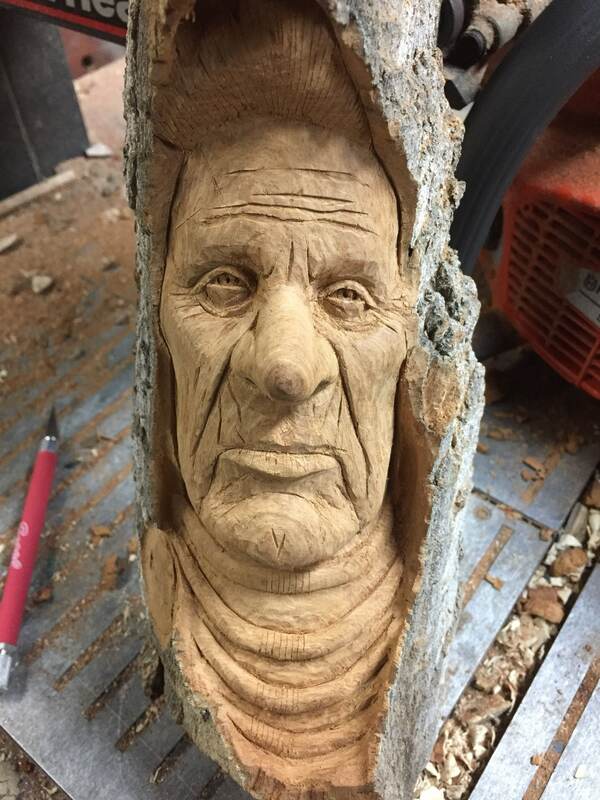 I created this guy in a piece of Cottonwood bark. 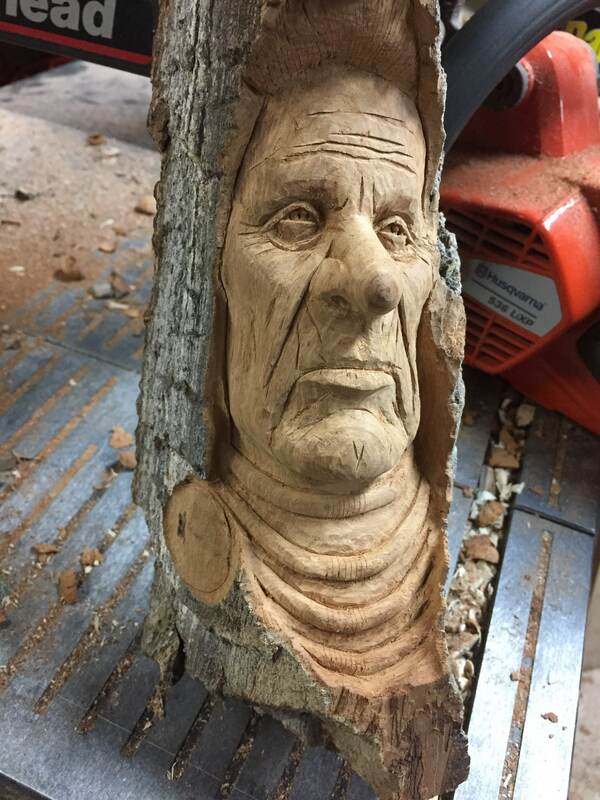 Yes, this is actually a piece of bark from a Cottonwood tree. 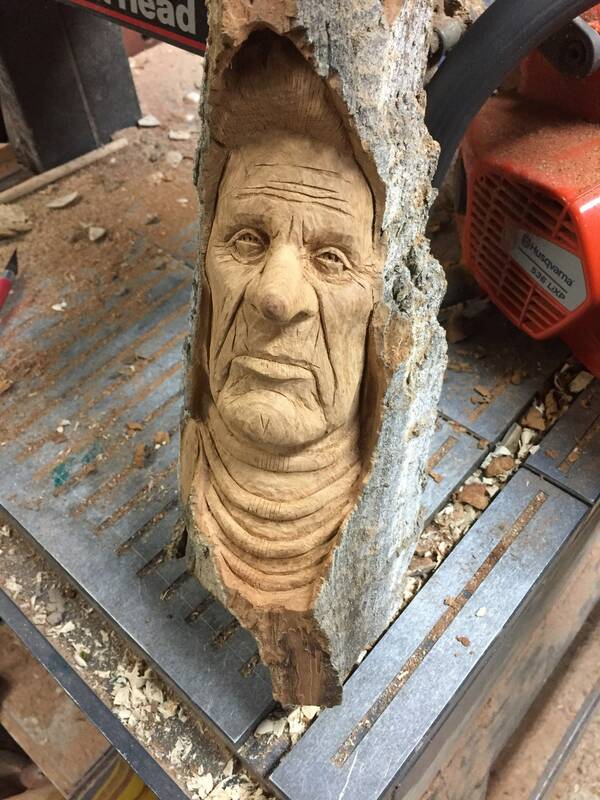 It is a wonderful carving medium as it is quite soft to work and it is very stable. Please contact me with any questions here, at carpcuts [!at] live.com or call 740-385-4487.